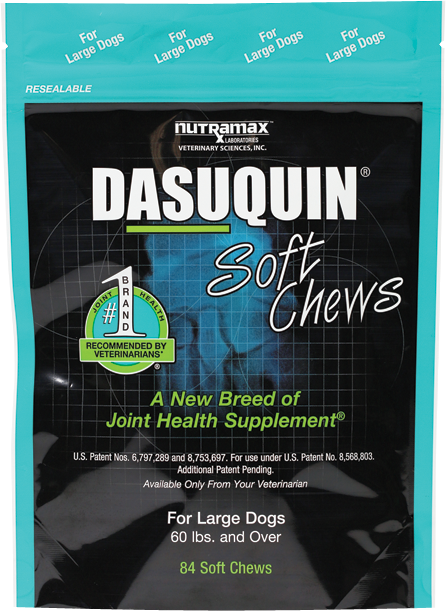 Dasuquin, in formulations for both dogs and cats, is a nutritional supplement containing proprietary ingredients, which goes above and beyond other supplements with glucosamine/chondroitin sulfate to maintain healthy joints. It is considered the "next generation Cosequin." 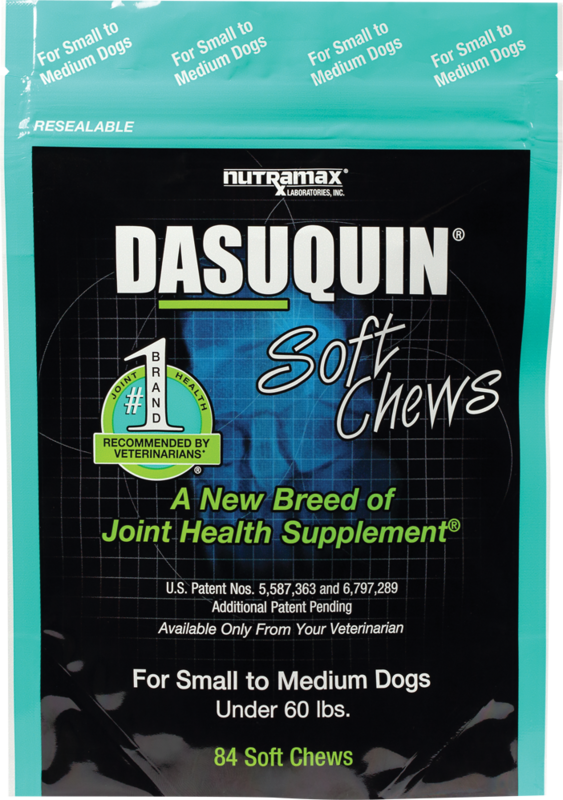 How it works: Dasuquin's active ingredients include avocado/soybean unsaponifiables (ASU) and chondroitin sulfate, as well as glucosamine. Glucosamine is a natural compound that is found in healthy cartilage in both humans and pets. It helps hydrate healthy joints by increasing the production of molecules that bind and hold water in the cartilage. Healthy cartilage provides cushioning which helps protect a pet's joints while exercising. Many believe that it provides clinical benefit in the synovial fluid by strengthening cartilage and aiding glycosaminoglycan synthesis. Further research on the effectiveness of glucosamine is still needed, but many of our customers find it to be very beneficial to their pets. The glucosamine is used in conjunction with sodium chondroitin sulfate, an important structural component of cartilage that provides much of its resistance to compression. Is your dog more sluggish to retrieve the ball they once couldn’t reach fast enough, or more reluctant to run and greet you at the door when you come home? Your dog may be silently suffering from joint pain. Dogs of all ages and sizes can develop joint pain for a number of reasons. Not to worry though, there are plenty of ways to prevent and treat your pup’s stiff joints from supplements to prescription medications.